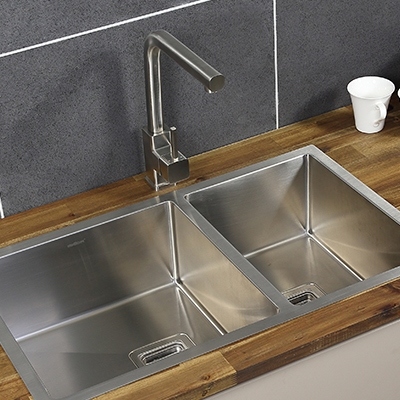 Up to 50% off Stainless Steel Sinks! Kitchen sinks & laundry sinks can be sturdy and beautiful at the same time if you select with care. Pick a high-grade stainless steel sink that is durable, easy-to-clean, and precision-made, with noise-reducing underside baffle pads. Choose a granite sink that exudes refined beauty and strength, made from 80% quartz which is the hardest constituent of granite. A large single bowl or deep single bowl is best for laundry sinks, and select one that is long-lasting. Which type of Sink are you looking for? Your kitchen sink is more than just a Stainless Steel Sink or Granite Sink that holds water. It is the central point of activity in your home, and has increasingly become a design statement with the advent of designer sink ranges from brands like Franke Sinks, Blanco Sinks, and Oliveri Sinks. Renovator Store’s range covers both Topmount Sinks (also known as Insert Sinks), and Undermount Sinks to suit kitchens of all styles from Traditional Kitchens, to Contemporary or Modern Kitchen designs. This range includes 1.5mm and 1.2mm thick Handmade Stainless Steel Sinks, and Grey and Black Granite Kitchen Sinks made from 80% Quartz. 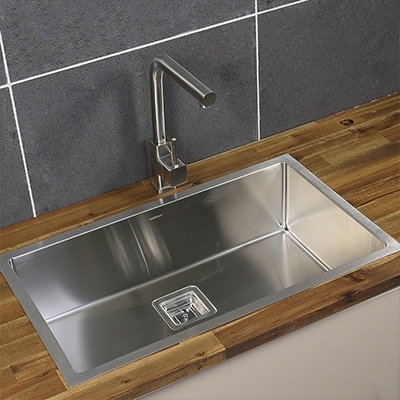 Our kitchen sinks are designed to suit all levels of functionality that you desire including small and large Single Bowl Sinks, Double Bowl Sinks, Single Bowl Sinks With Drainers, and Double Bowl Sinks With Drainers. 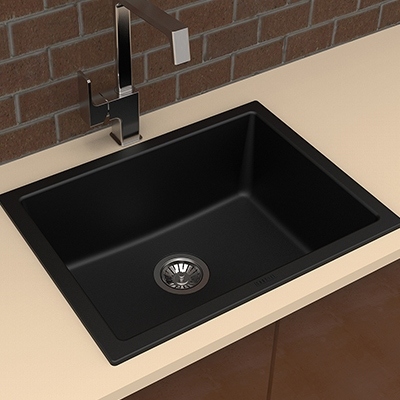 All of our kitchen sinks can also be used as a laundry sink given the high durability of stainless steel and granite. We work with reputable brands like Swedia, Aguzzo, Carysil, Ytalo, and Brienz, so no matter your style or budget, Renovator Store has you covered with quality kitchen sinks online. We are ready to ship your new kitchen sink straight to your door from our warehouses in Melbourne, Sydney, Gold Coast and Adelaide.